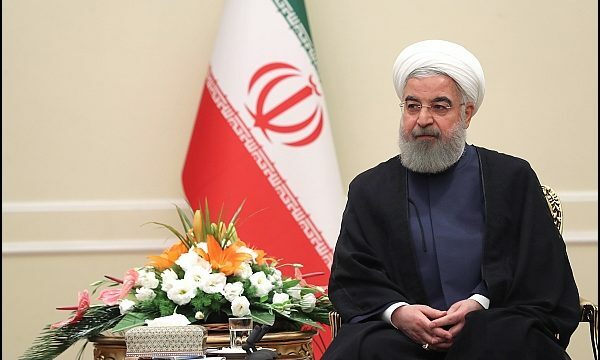 IFP- Iranian President Hassan Rouhani says removing the monopoly of foreign messaging apps by reinforcing domestic ones does not mean other social networks must be restricted. Apparently referring to the controversial issue of blocking people’s access to the popular messenger Telegram, Rouhani stressed that people have the right to choose between the social networks they want to use. In a Farsi post on his Instagram account on Sunday, the Iranian president also added that his government will protect the cyberspace and people’s access to communications. This comes as within the past few weeks there were contradictory reports saying the popular messaging app Telegram is seemingly drawing its last breaths in Iran. Telegram has more than 40 million users in Iran and is widely believed to have played a significant role in the victory of Rouhani in the 2017 presidential elections. On April 18, the Telegram channel of Leader of Iran’s Islamic Revolution Ayatollah Khamenei announced it would have no further activity in the app. It said “in order to protect the national interests and to break the monopoly of the Telegram messenger,” the website Khamanei.ir has stopped its activity on this messaging application. Following that, a number of other Telegram channels attributed to top Iranian officials stopped their activities in a move that seemed to signal the imminent blocking of the messenger. The fate of Telegram in Iran became a hot subject in political circles late last month, when the chairman of the Parliament’s National Security Commission Alaeddin Boroujerdi said a decision has been made “at the highest levels” to permanently ban Telegram by April 20. However, shortly afterwards, President Rouhani said he opposes the filtering of Telegram.